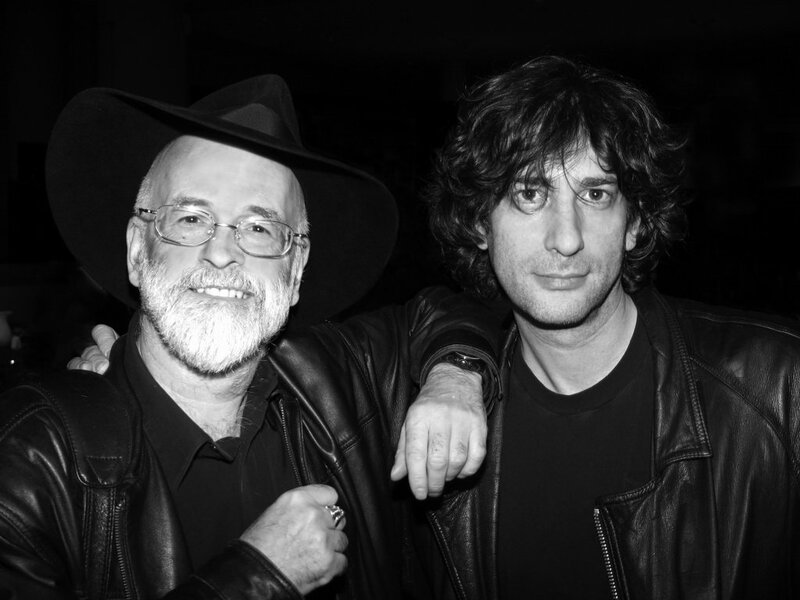 I don’t think I’ll ever really understand how two authors can write a book together, but I’m really glad Neil Gaiman and Terry Pratchett did. Their collaboration produced Good Omens, an almost-twenty-year-old “cult classic” that I recently read. Like Emergency, I picked up Good Omens because it was on the sales table at Borders (mayhaps Borders is looking out for me) and because of its interesting cover or, I should say, covers. Good Omens lay around my house for a while in my pile of “to read when I have time” books that rarely if ever get read until, one early morning when I should have been packing, I picked it up and started to read. And I read all day. When my mom came home from work, I was in my pajamas flipping through the last pages. Needless to say, I got nothing done that day that a parental unit would construe as productive, but I disagree. I found a book to add to my collection favorites – those I can return to again and again. To get to the plot, Good Omens, is the story of what happens at the end of the world when those involved don’t really want the world to end. An angel and demon have been on earth so long they’re closer to each other than to their own superiors and the Antichrist is a boy who rather likes his town the way it is. This book will make you laugh and slyly grin and maybe even make you ponder whether chess or solitaire is a better analogy for the way the God works.